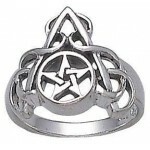 Pentacle arched design sterling silver Wiccan ring is woven with a vine connecting Earth to Sky and the Elements in this lovely ring. 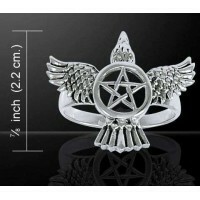 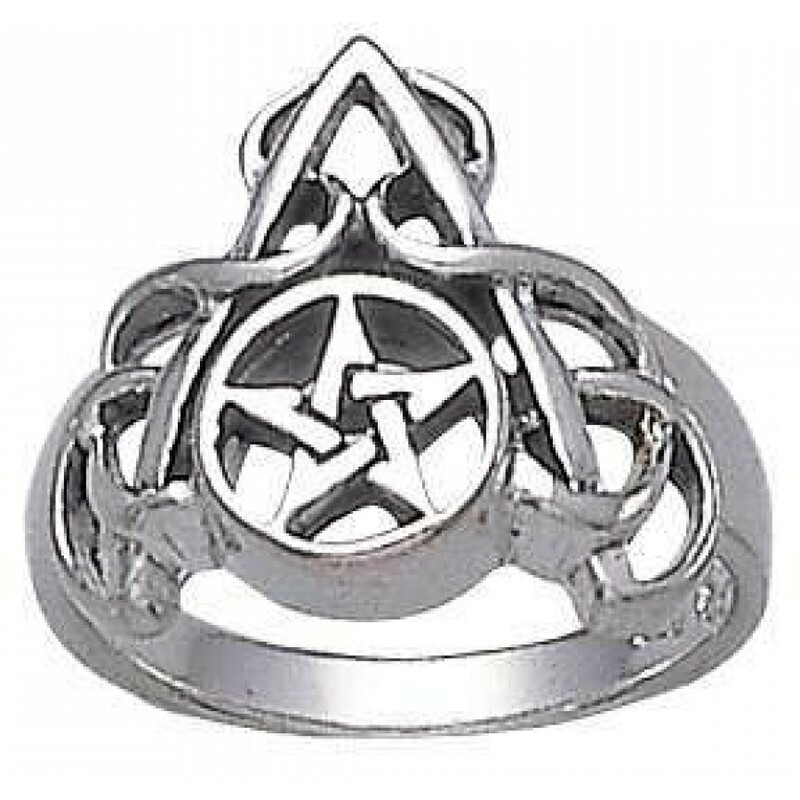 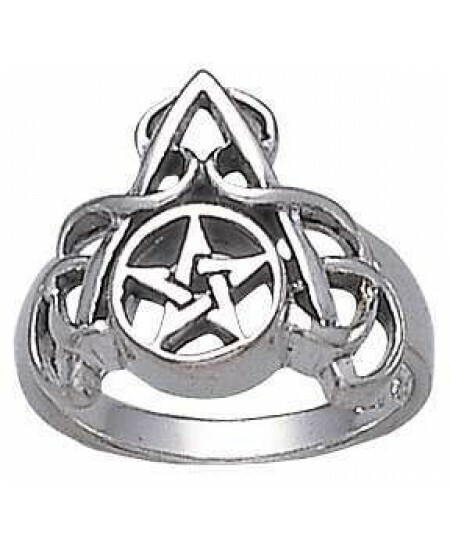 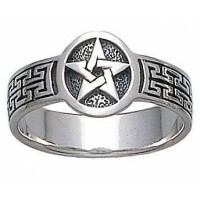 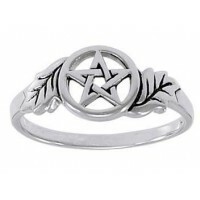 Beautifully detailed sterling silver ring features a pentacle within an arched design with flowing vines. 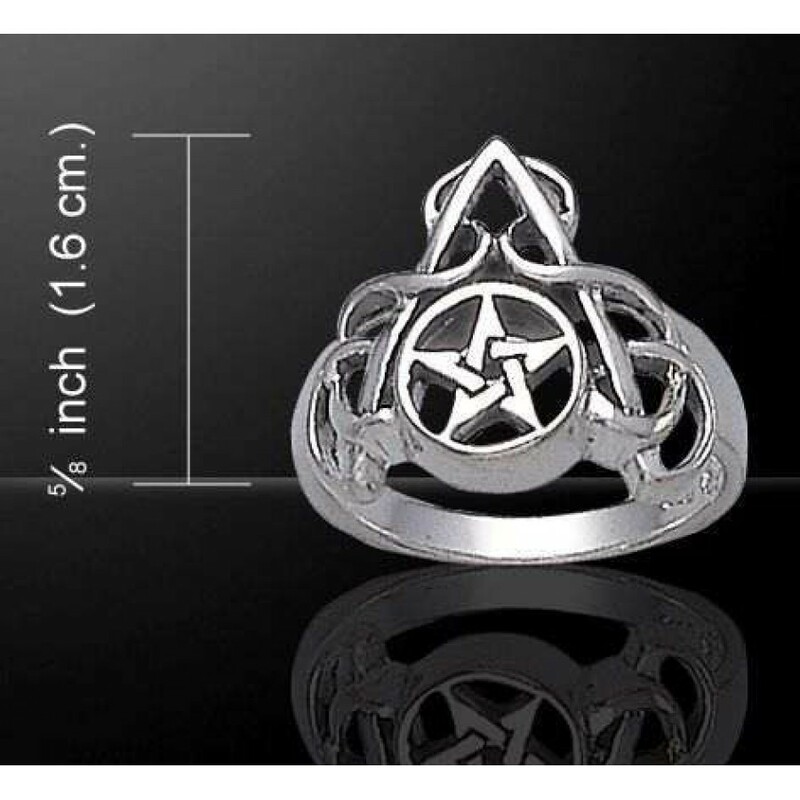 Ring is 5/8 inch high. 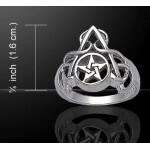 Item Number: PS-TR915 | Approximate Size (Inches): 0.50 wide x 0.01 deep x 0.75 high | Approximate Shipping Weight: 0.25 lbs.